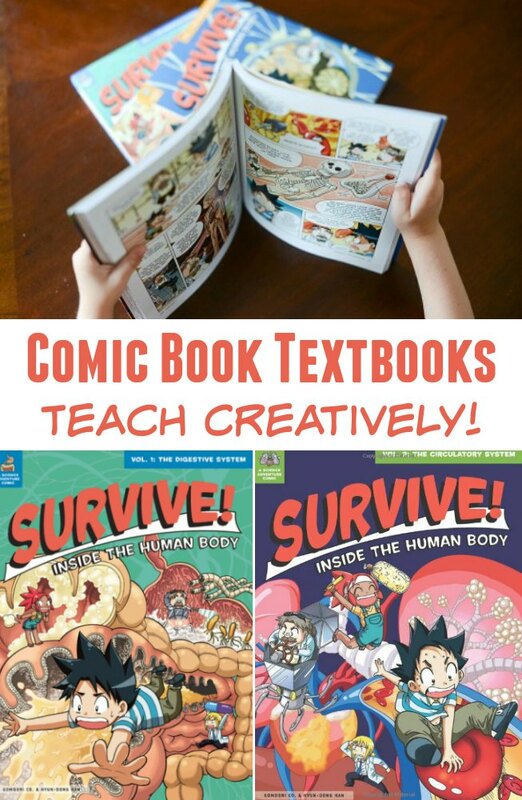 Sometimes it’s important to step out of the box and rethink how to best teach kids — and these comic book textbooks will have you rethink how you approach teaching. This post contains affiliate links. I have two active boys… boys who do not enjoy sitting and staring at textbooks to learn. My oldest is a visual learner. I’m always amazed at what he’ll remember months later because he saw an image that stuck with him. When he was just beginning to learn to read, rather than focusing just on “regular” books, I also brought in a mix of graphic novels. They still require reading but add in another element of fun. But I have to admit — When I heard there were comic books teacbooks that could help my children learn science, I was skeptical. But I’m being won over, because I’ve discovered the magic of Manga learning tools! 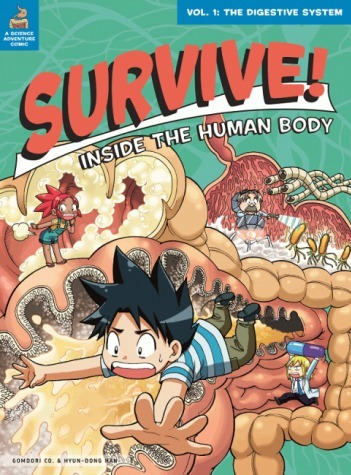 I’ve discovered this tremendous resource for teaching kids science and all about the human body. Rather than a dry text and diagram textbook, concepts are covered in a story-based format that’s also visual, so learners of all kinds have more to glom onto, and it’s easier to recall. Last but certainly not least – it makes learning fun! Imagine if your child requested to re-read a science text book. That’s what these amazing books can inspire. Topics covered in this series about the human body: Human Body (anatomy), Digestive System, Circulatory System, Nervous System, Personal Wellness, Effects of Food on the Body, Medicine & technology, and Genetics. « Fall Books for Preschoolers – Board Books Edition! These are on my buy list! Using comic books are such a fun way to change up the game. 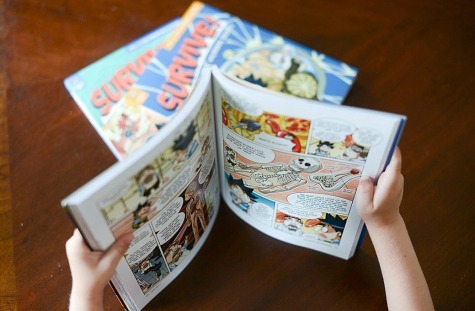 My son certainly loves reading “comic books” as a way to learn. Happy reading with your kiddo! Oh my gosh, these are so cool!!! My son would adore these books. Thanks for the tip!